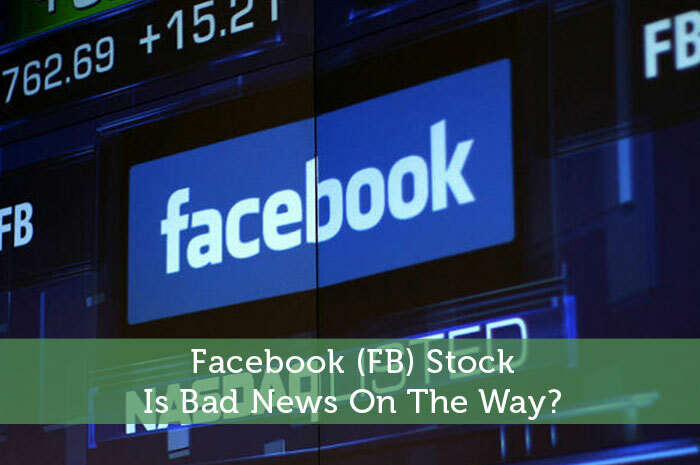 Facebook (FB) Stock: Is Bad News On The Way? No matter what stock you’re watching, it’s important to pay very close attention to insider sales. That’s because no matter what company it is, insiders know more about what’s going on with the company than anyone else. So, when insiders buy massive amounts of shares, we can expect to see growth in the stock from something that’s developing at the moment at some time down the road. Adversely, when insiders sell large amounts of shares, the action insinuates that the insider knows something that investors don’t, something that’s likely to drive the price of the stock down relatively soon. However, it seems as though Andreessen believes that now is the perfect time to sell shares of the company. According to his SEC filings, Andreessen started selling Facebook shares on October 30th. From then until now, he has sold 1.5 million shares. That’s a value of $160 million and equates to more than 73% of his overall ownership of the company. Why Did Andreessen Offload So Many Shares? I’ve taken a close look at the company, and through my analysis, I can’t seem to figure out for the life of me why Andreessen would have sold so many shares. All public information shows that the company is doing incredibly well. However, I do have a bit of a theory. Currently, Facebook is the largest social network in the world. The company is so large in fact that just about everyone in developed countries already has a Facebook account. Recently, Facebook announced that they reached 1 billion log ins in a single day. All sounds good right? Well, that is if you don’t account for market saturation. It’s possible that Andreessen sees that Facebook has saturated the market so much that the company doesn’t have much room left to grow. As an analyst myself, I know that when corporations are incapable of showing growth for any reason, we tend to see declines in the values of the stocks that represent those companies. With that said, I wonder if the reason for the sale of the stock is that Andreessen feels as though the market high market saturation will lead to investor concerns in the future. Why do you think Andreessen sold nearly three quarters of his ownership of Facebook? Let us know your opinions in the comments below! Andreessen still sits on the Facebook board and still owns more than million shares of Facebook. All the research I did online says that it was a predetermined planned sale. It may be that he is realizing his gains at the right time. I don’t see anything wrong with the Facebook stock. It still has double digit growth for the next five years.